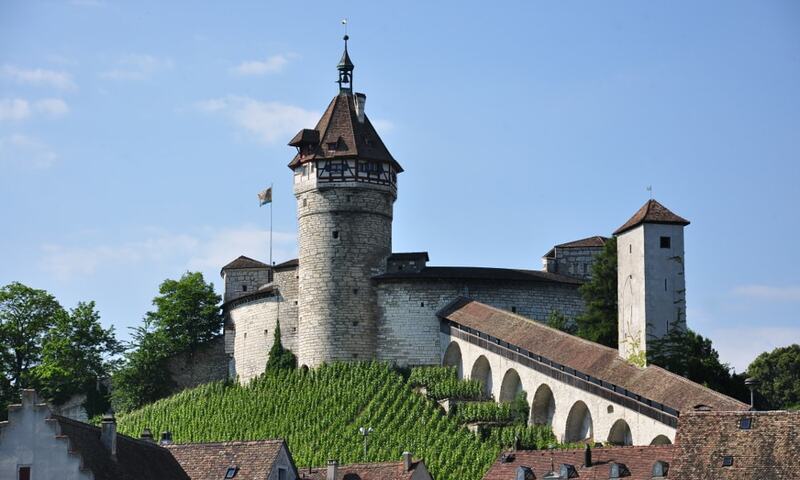 The Munot is a circular 16th century fortification in the center of the Swiss city of Schaffhausen. It is surrounded by vineyards and serves as the city's symbol. The ring-shaped fortress was built in the 16th century. Today, it is a tourist attraction and hosts various events.